Life is great, anything is possible, it's spring and I love everything. Smell those lilacs. God is good. Life is precious. I love being alive. Life is hard. I'm so tired. I'm not doing enough. There's never enough. Oh my God, life is horrible. I need a vacation. I don't want to be in charge anymore. Oh but smell those lilacs. Oh yeah, life is good, it's going to be okay. Yup, my mood swings were pretty extreme this past weekend. My poor husband. At the dinner table Sunday evening, the older kids started complaining about going back to school. I always attempt to make my children better, more organized, less anxiety ridden, less neurotic, more positive, more relaxed than me. So, I asked them to think of and share with the family one highlight of the weekend and one thing they were looking forward to for the week. "Playing our baseball tournament this weekend and gym class," replied Peyton. "Spending time with daddy and seeing my friends," Lucy stated. My first reaction was to be critical and ask why they weren't looking forward to learning about science and math and being better, smarter people. But I held my tongue and nodded, grateful they had played my game without too much fuss. -A long run on Saturday morning. -Waking up to JT saying "I love you mommy." -Lucy's imagination. 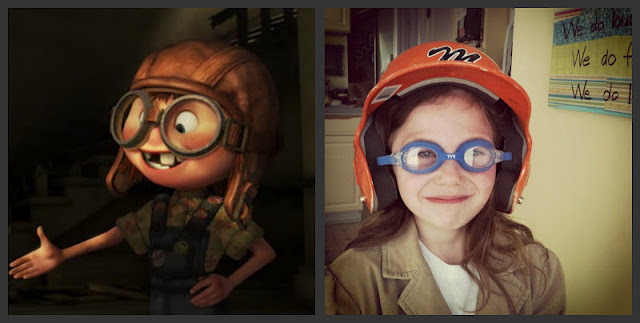 She was playing Amelia Earhart yesterday and dressed the part. She reminded me of little Ellie in the movie Up. She actually reminds me of Ellie in so many ways. -A chiropractor for Peyton. I've never been someone that understood or believed in chiropractors. Total skeptic. But Peyton was hurting when he threw a baseball. Resting, icing and ibuprofen weren't helping. But guess what did? An adjustment at the chiropractor. I admit, I felt like throwing up watching the chiropractor toss my kid's head around, but he feels so much better. I'm a believer now. 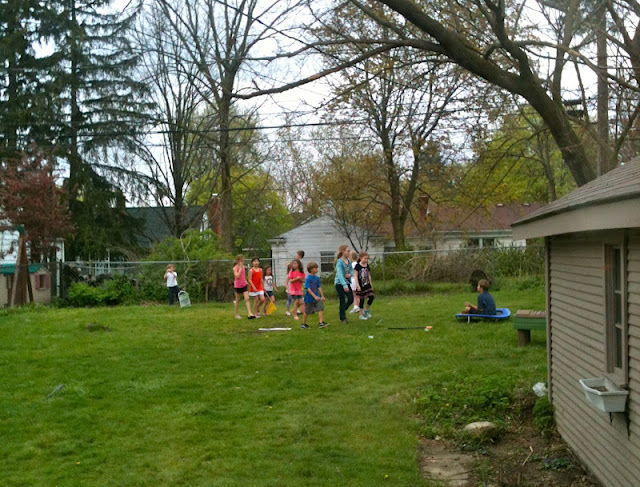 -Watching the neighborhood play in my backyard with my kids. I love it. -My beloved routine (I love weekdays because of the structure.). -My new obsession The Voice on Monday night. 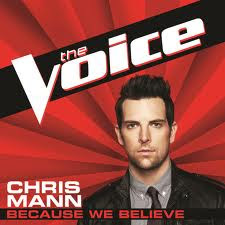 Vote for Chris Mann! -Kathy Griffin's new show on Thursday night on Bravo. Love her. -Less mood swings and more lilacs. -More people joining or liking the blog's Facebook page (click here) and more followers on Twitter (@AngelaYBlood). -More of all the good stuff that were my highlights last week--imagination, good friends, healthy backs and good loving---what more could I really ask for? Life is good.